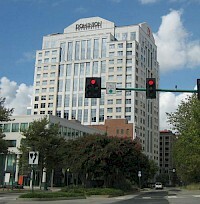 500 East Main Street is one of the major distinctive and recognizable features of Downtown Norfolk, Virginia, United States. 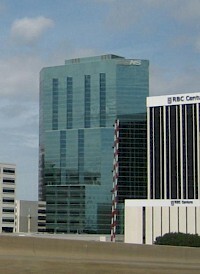 The tower was formerly known as the BB&T Bank Building. 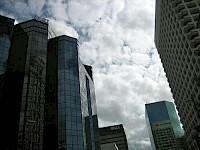 555 East Main Street is one of the major distinctive and recognizable features of Downtown Norfolk, Virginia, United States. 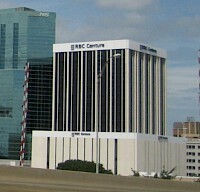 The tower has the RBC Centura name atop it. The Dominion Enterprises Building (often called "Dominion Square" or "Trader Square") is one of the major distinctive and recognizable features of Downtown Norfolk, Virginia, United States. The tower is named for Dominion Enterprises. 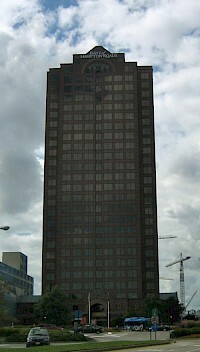 Dominion Tower is one of the major distinctive and recognizable features of Downtown Norfolk, Virginia, United States. 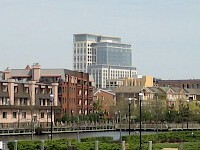 Once the tallest building in the Hampton Roads metro area, it is now the tallest building in the City of Norfolk, having been surpassed by the 2007 construction of the Westin Virginia Beach Town Center tower in nearby Virginia Beach. Main Street Tower is one of the major distinctive and recognizable features of Downtown Norfolk, Virginia, United States. 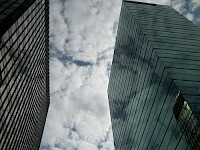 The tower is home to Wachovia and others, featuring the USI financial services company name atop the building. Norfolk Southern Tower is one of the major distinctive and recognizable features of Downtown Norfolk, Virginia, United States. The tower is named for the Norfolk Southern Corporation whose headquarters are located in the building. 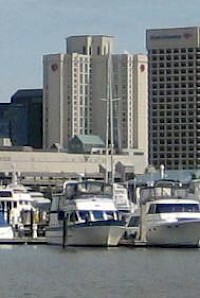 Norfolk Waterside Marriott is one of the major distinctive and recognizable features of Downtown Norfolk, Virginia, United States. The tower houses a 397-room Marriott Hotel. 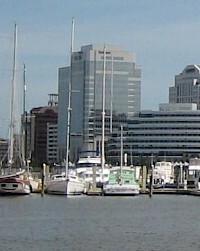 Wells Fargo Center is one of the major distinctive and recognizable features of Downtown Norfolk, Virginia, United States. The tower is named for Wells Fargo.